That's not to brag. It's a fact! We have a system that just works! We have over 200 franchisees operating over 500 territories in 16 countries. We are one of the fastest growing franchise opportunities. We won the Child Magazine's Parents Choice Award in 2010, 2011 and 2013, the Top 50 Franchises for Minorities, National Minority Franchising Initiative award and Top 50 Franchises for Veterans award by USA Today. Through our international network of associates, Tutor Doctor serves as an educational catalyst, delivering academic performance, greater self-esteem and impacting the lives of tens of thousands of children and students around the world. We have a CORE BELIEF that everyone can learn. 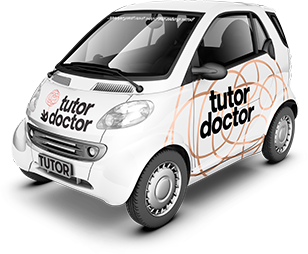 Tutor Doctor began with the simple idea that the classroom setting was insufficient for unlocking the learning potential of each student. But to an industry that relied on conformity, the idea of building a tutoring model that acknowledged the unique learning style of the individual was revolutionary. Immediately successful among students and families who struggled with the rigid education system, Tutor Doctor wanted to share this innovative method with students around the world. In 2003, we started offering franchises that fulfilled our commitment to building a team of passionate business leaders who could work together to support personalized education. With the majority of our growth occurring in the last decade, our company is naturally equipped to prepare students for a future that past generations could not even imagine. A commitment to innvoation combined with a strong work ethic has ensured that our techniques are customized for students wishing to be the future leaders of our global society. While each year Tutor Doctor has continued to grow and revolutionize at unprecedented rates, it is our commitment to the values of our inception -- each of our students is unique - that remains the source of our success. As a franchisee of Tutor Doctor, you will become more than just a successful business owner – you will be an education provider who offers a chance at academic excellence a student might not otherwise have. It’s an important role in a time of educational challenges, one which Tutor Doctor and its franchisees are happy to fill. We hope you will join us in this endeavor, and enjoy the business success which it accompanies. If you’re thinking of starting a tutoring business, Tutor Doctor is the tutoring franchise for you. Work when you want to work, make the profits you dream of making, and help students in your community who need you most. Interested in learning more? Download our Free Franchise Report, and let's start a conversation.